We are now in the flow of the beautiful Taurean energy when the sun entered Taurus on 4/19/16. Venus, her ruling planet entered Taurus on 4/29/16 and will settle in to her home sign until 5/24/16. 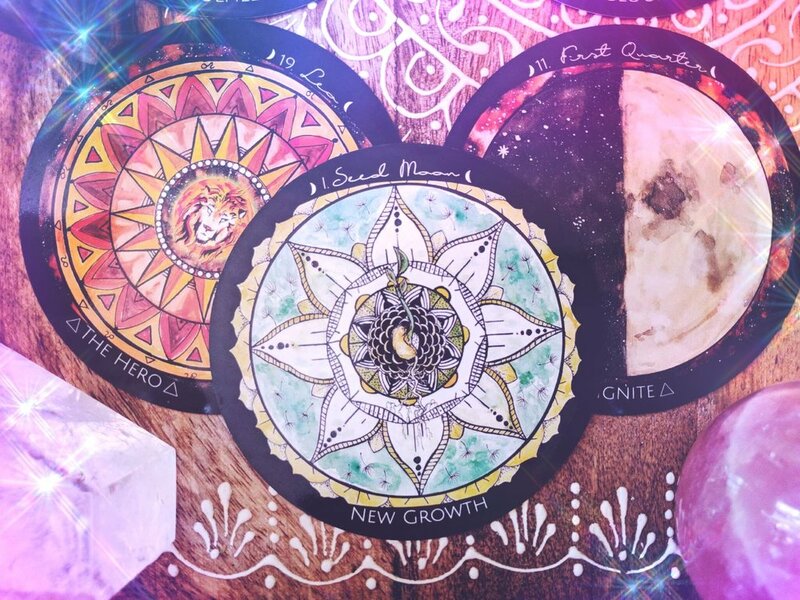 This is a powerful time to bloom into your sensuality, abundance, health, and radiant joy. This is what the Flower Moon cycle is all about. All that you have prepared for is beginning to blossom and bloom. 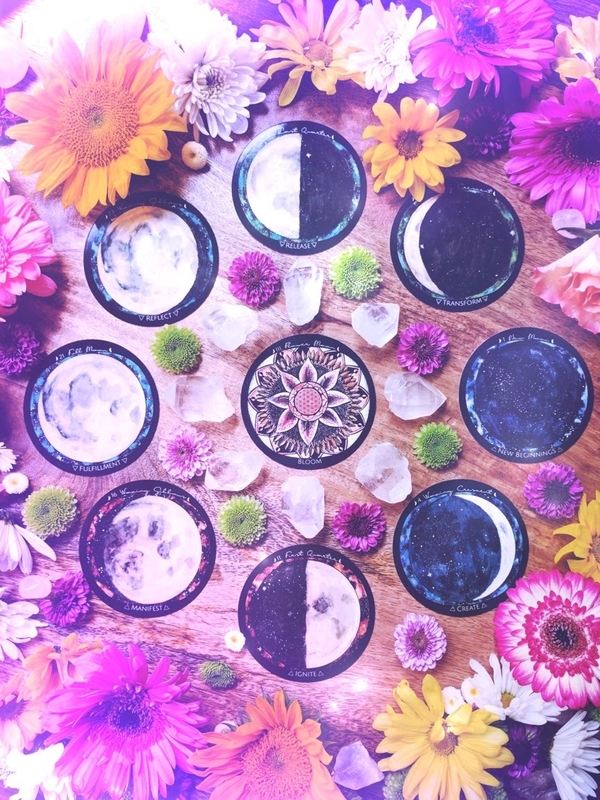 The Cosmos really support this blossoming because throughout the whole month of May there are several Grand Earth Trines... when all these different planets come together in harmonious aspects in all the earth signs... Taurus, Virgo, and Capricorn. 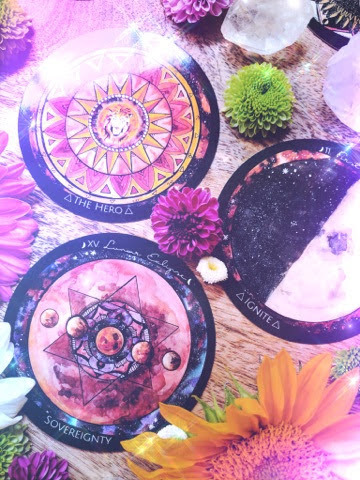 In this reading we drew 3 earth cards! This is Spirit de la Lune's way of representing this! Look out for May 11th, May 28th, and May 30th! Embrace this amazing earth energy by honoring Gaia, gardening, attracting abundance, and nourishing your physical body! Taurus is all about embodiment. To truly thrive, embody your whole being, the present moment, and your life. 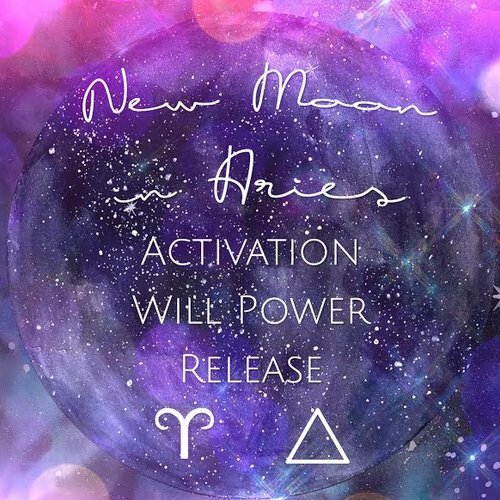 The New Moon in Taurus gives you a choice to say yes or no to thriving. The card pulled is Rejuvenate which focuses on your body. This would be a wonderful time to say yes to your body, yes to your nourishment, yes to your health yes to your beauty! Set an intention to add more self-love to your life. 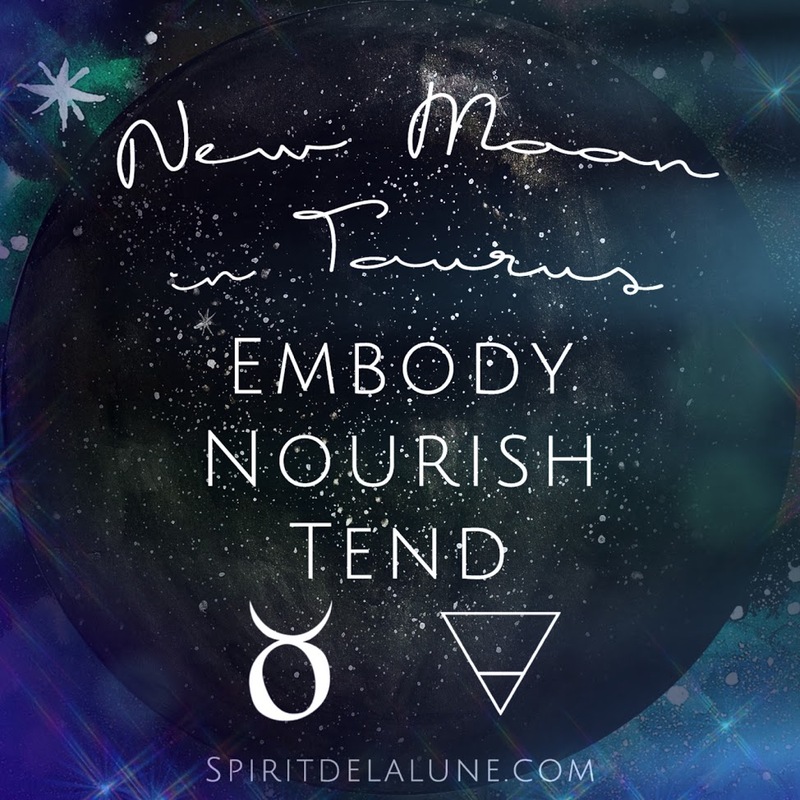 How would that look and feel like to you on this new path of embodiment? The stone red jasper is a beautiful grounding stone to embrace your body with love, nourishment, respect, and presence. Saying yes to thriving will create a new lifestyle and path that honors you, your desires, and your energy. The First Quarter in Leo pulls you into the limelight. You are meant to shine for the world to see! Do not shy away from this position of power. Now is the time to step-up! The card pulled for this phase is Scorpio: The Shaman. The Shaman navigates the different worlds with ease and there is a pull to keep yourself hidden. Scorpio is an intense sign of emotions, magic, and passion. The ruling planet Pluto is in retrograde right now until September, so this is a potent time to transform your ideas of power and magick. What or who do you still give power to? How do you diminish your magick? The stone of magick is Labradorite. 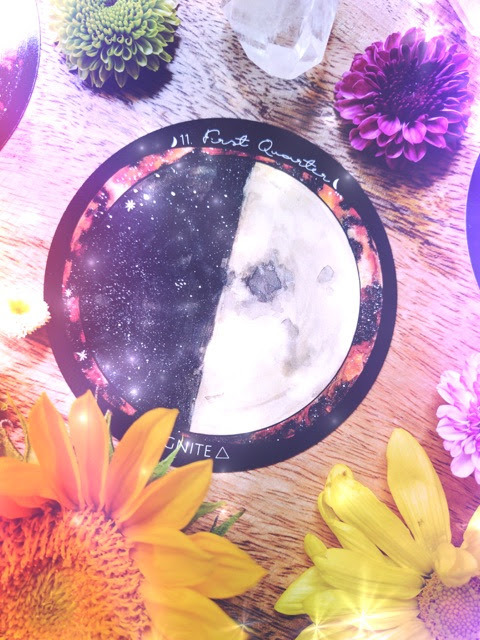 This stone can help you through this transformational time and direct your magick and gifts to help support your new path of an embodied powerful being in your community. The Full Moon expands with the archer, Sagittarius. Sagittarius is a potent sign of embodiment. The horse body represents, the animal instinctual world within, the human torso is the world in which we exist on this plane, and the arrow represents the cosmic world of the heavens and different dimensions. Sagittarius can embody all these worlds with ease, luck, and optimism. Pulling the Rest card, find ease in your body. Allow the energy drainers in your life to dissipate. Jupiter, the Archer's ruling planet goes direct 5/9/16, so this will bring a huge expansive energy into whatever you have been working on. Rest in the flowing current. There is abundance waiting for you to receive it! Amethyst is a stone to help you find rest, but also open your channels to your inner wisdom and intuition. 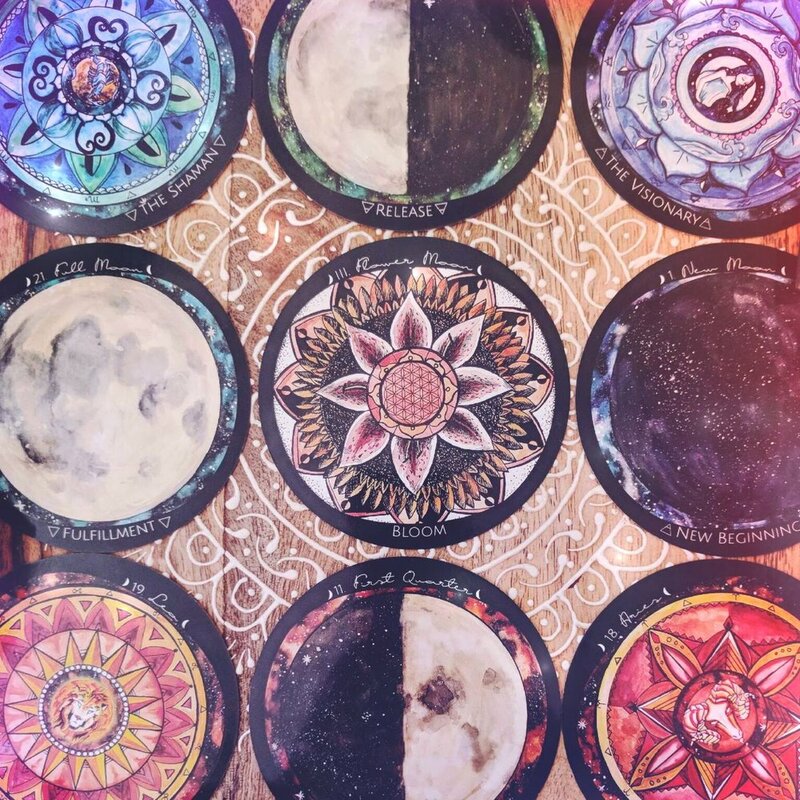 Whatever messages you receive now from your body, your guides, your intuition, listen and take note! 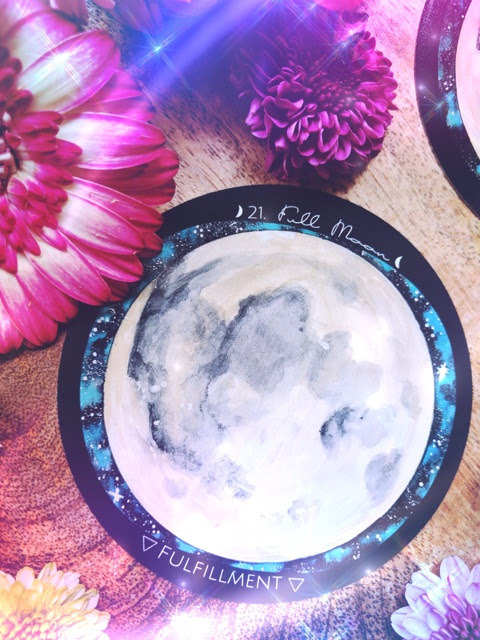 A Sagittarius Full Moon can be full of inspiration and surprises! The Last Quarter Moon is dancing with the dream fish, Pisces. During the waning phase, Pisces can get easily lost in their emotions or daydreams and that is okay. Allow yourself to feel all the feels! With all these amazing changes taking place this cycle, create space for this alchemic process. The card pulled is Transformation. There is a recalibration that needs to take place. Allow the Pisces water energy and the earth energy of this cycle to guide you to your sanctuary. A wonderful stone to work with through these changes is Turquoise. This stone is a powerful healer. With its strong protective energies, this stone opens the Throat chakra so you can speak your needs to others and yourself. There will be clarity and peace working with this stone. Amber: Opens you to your sensual nature. Carnelian: Clears the womb for your Divine Feminine essence to shine. Emerald: Opens the heart to healthy boundaries. Malachite: Major abundance activation and attraction! Moonstone: Honors emotions, intuirion, and feminine receptivity. We are hosting a #tunetothemoon challenge on Instagram! Be sure to check it out!